Got the Winter Blues? 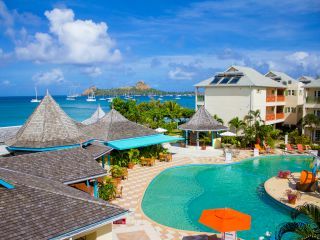 Then it's time to plan a Springtime Getaway and soak up the sun in Saint Lucia. 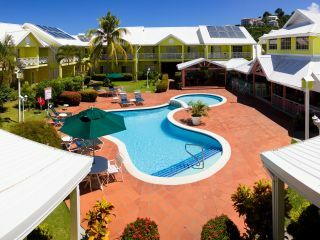 Save Up to 50% off on the Accommodation Rates, plus FREE breakfast for two, unlimited FREE non-motorized water sports, FREE Wi-Fi and unlimited FREE water park passes. 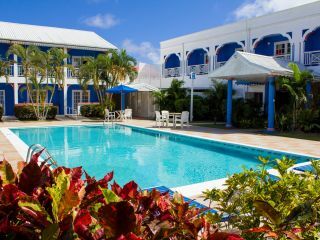 Bay Gardens Resorts is offering guests major savings at our four Saint Lucia resorts including Bay Gardens Beach Resort & Spa, Bay Gardens Hotel, Bay Gardens Inn and Bay Gardens Marina Haven. 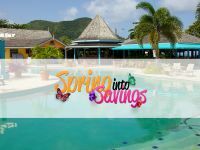 This promotion is valid for NEW bookings ONLY made by April 30, 2019 for travel Now to May 06, 2019. No minimum night stay required to qualify. Inclusive of FREE breakfast for two, unlimited FREE non-motorized water sports, FREE Wi-Fi and unlimited FREE water park passes. Offer is NOT combinable with any other promotions, subject to availability throughout promotional period and may be changed or withdrawn at any time. 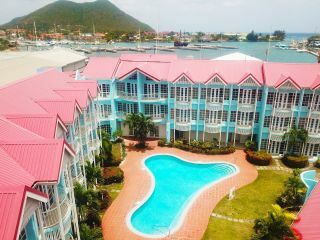 Offer of 40% applicable on Deluxe Garden View rooms and 30% on all other room categories at Bay Gardens Beach Resort & Spa, 40% off Standard Rooms and 30% off all other room categories and the Bay Gardens Hotel & Inn, and 50% off all room categories at the Bay Gardens Marina Haven. Reservations are recommended. Blackout dates and certain conditions apply.